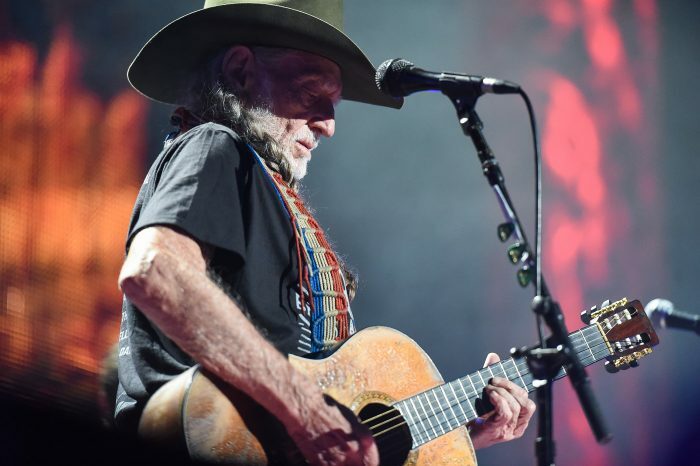 Legendary musician Willie Nelson takes the stage at Farm Aid 31 in Bristol, Virginia. 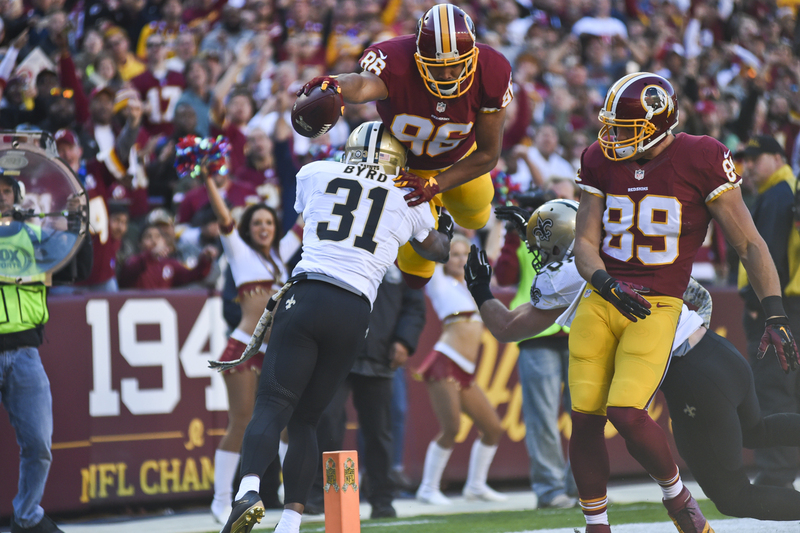 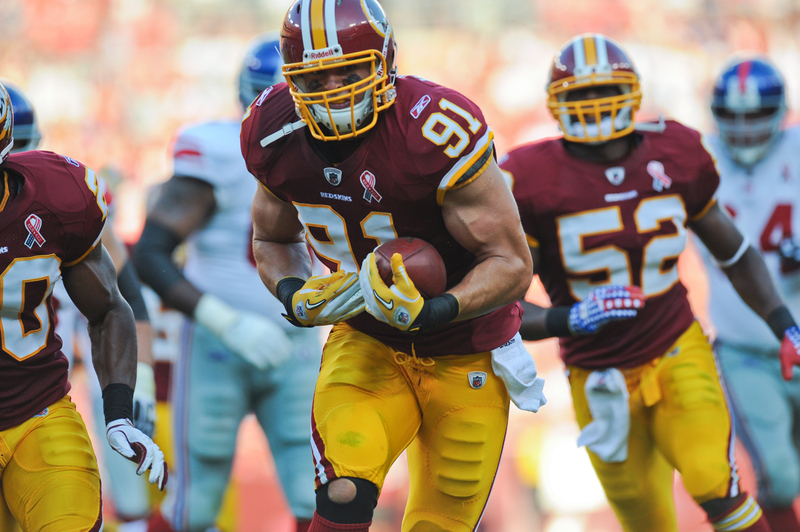 Redskins tight end Jordan Reed goes up and over a defender to score a touchdown during Washington’s blowout victory. 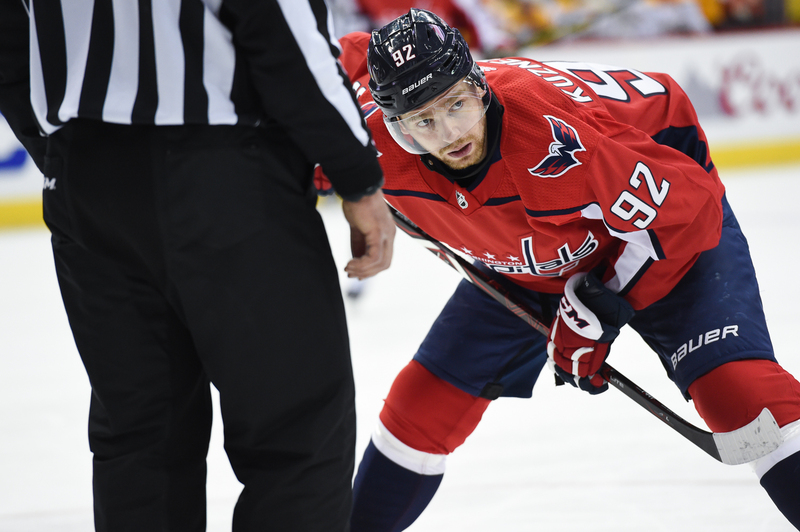 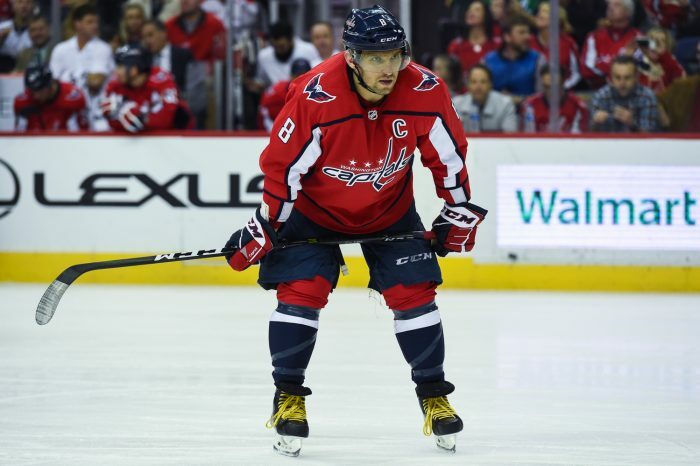 Washington Capitals captain Alex Ovechkin lines up for a face-off during a Washington power play. Redskins linebacker Ryan Kerrigan intercepts a pass by Giants quarterback Eli Manning and returns it nine yards for a touchdown in his first NFL game. Redskins receiver Jamison Crowder drags a Green Bay defender with him as he fights his way to the 1-yard line. 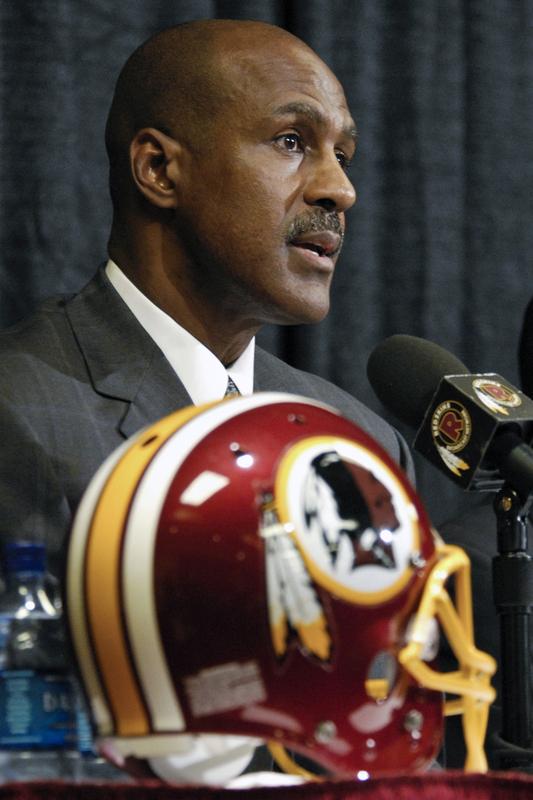 Hall of Fame receiver Art Monk answers questions during a press conference at Redskins Park. 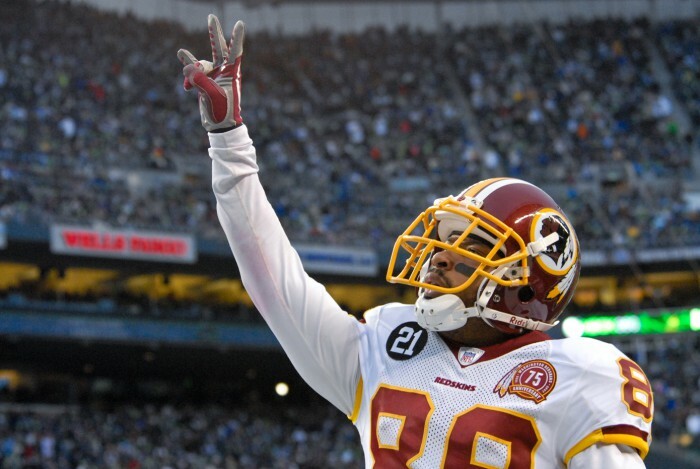 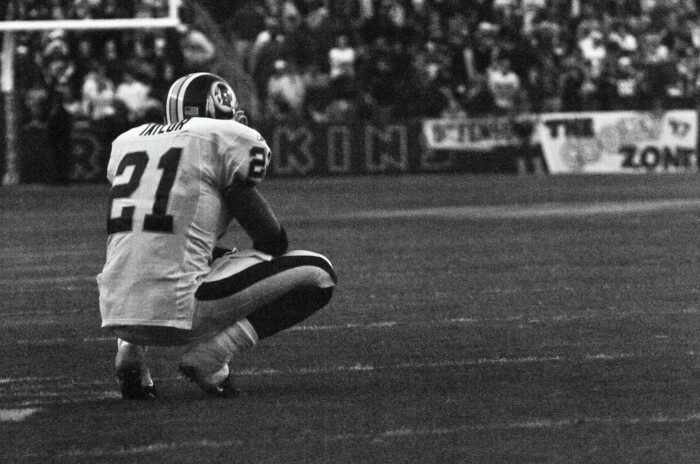 Redskins receiver Santana Moss honors his fallen teammate Sean Taylor after scoring on a 30-yard touchdown pass from quarterback Todd Collins to give the Redskins a 14-13 lead. 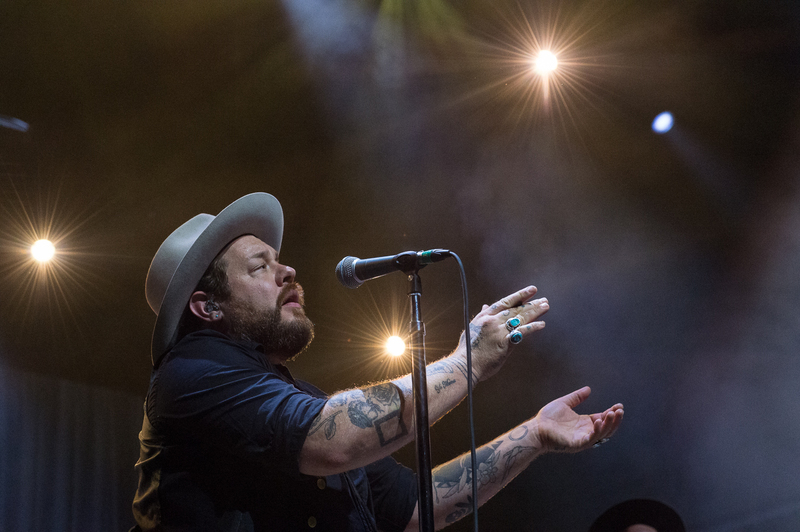 Nathaniel Rateliff and the Night Sweats perform at The Anthem. 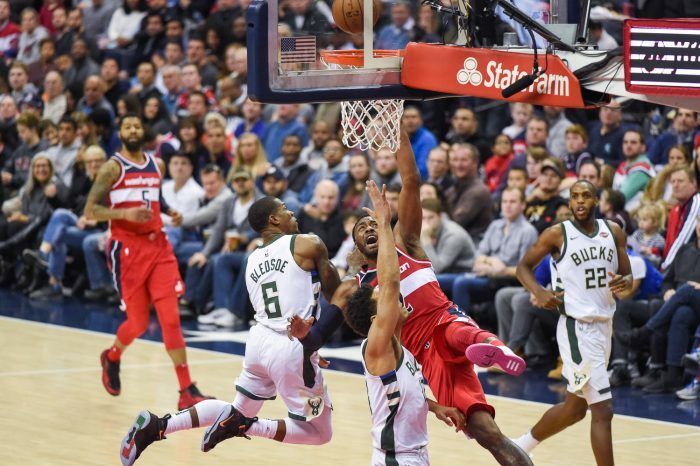 Washington Wizards point guard John Wall gets upended as he drives to the hoop against the Milwaukee Bucks. Redskins safety Sean Taylor pauses during a break in the action during a home game against the New York Giants. Cheerleader Maigan celebrates after the Redskins score a 12-yard touchdown to give Washington a 30-10 lead over the Indianapolis Colts. 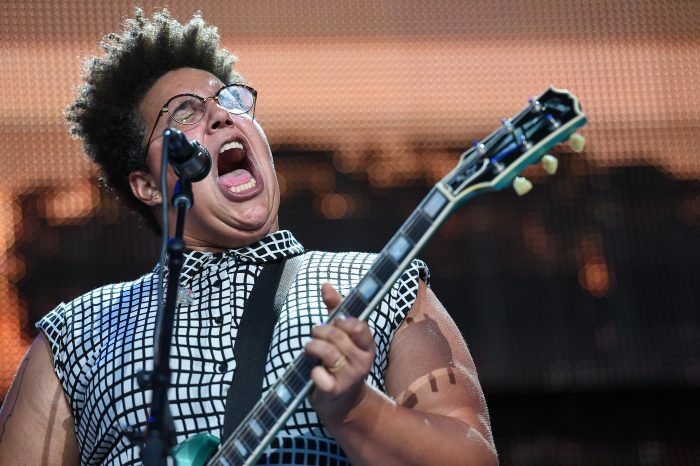 Alabama Shakes lead singer Brittany Howard belts out a note during a captivating show at Jiffy Lube Live. 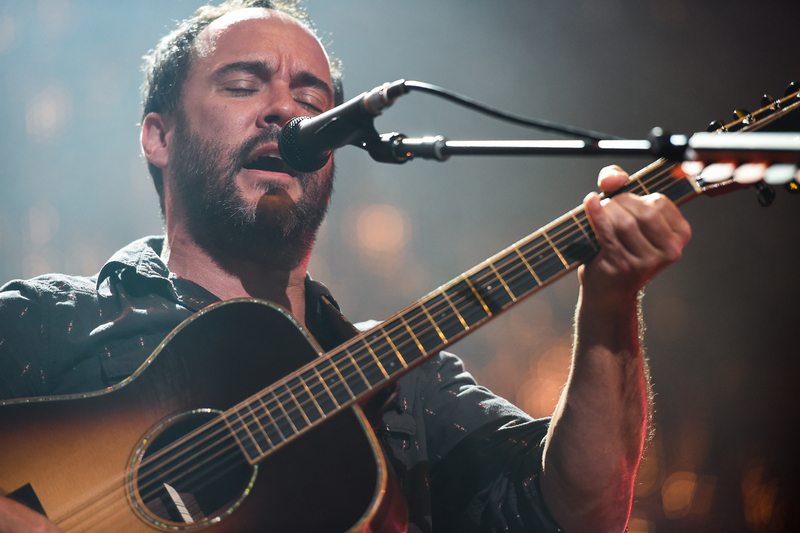 Dave Matthews, along with Tim Reynolds, plays “Don’t Drink The Water” during Farm Aid 31. 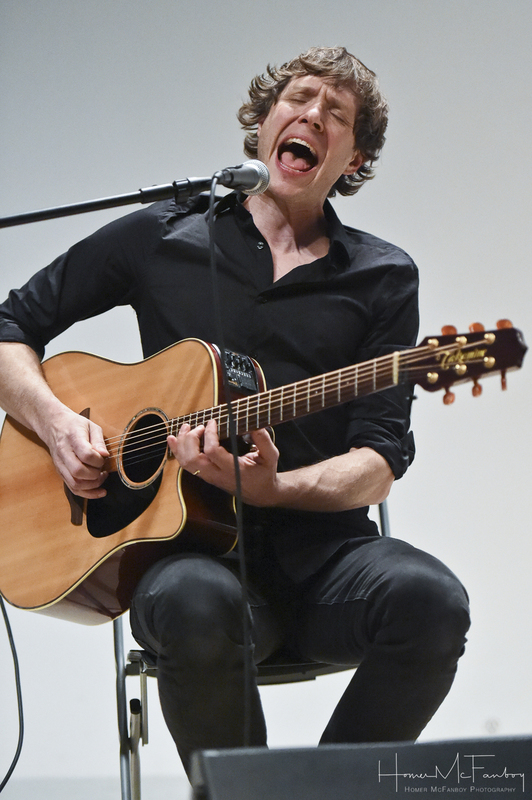 OK Go lead singer Damian Kulash Jr., sings the lyrics to “I Won’t Let You Down” at The Hirshhorn Museum and Sculpture Garden. 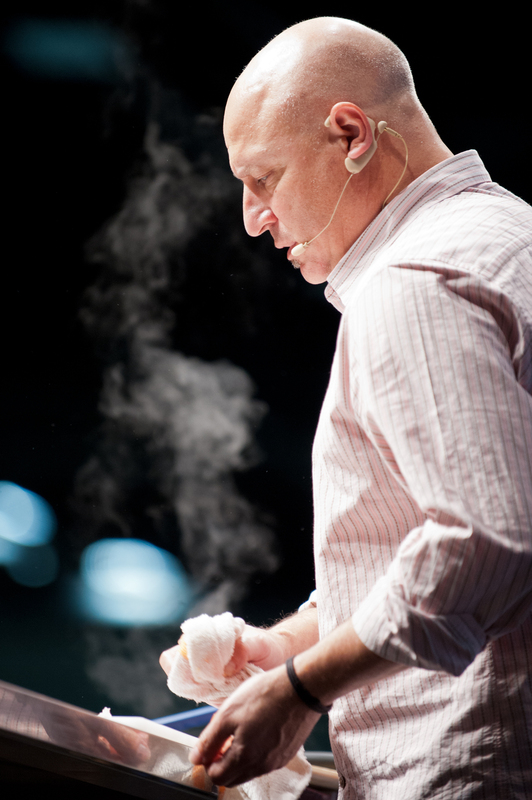 Tom Colicchio, an award-winning chef, restaurateur and Top Chef host, gives a live cooking demonstration at the Walter E. Washington Convention Center in Washington, D.C.
Capitals top-line center Evgeny Kuznetsov takes a faceoff against the Nashville Predators. 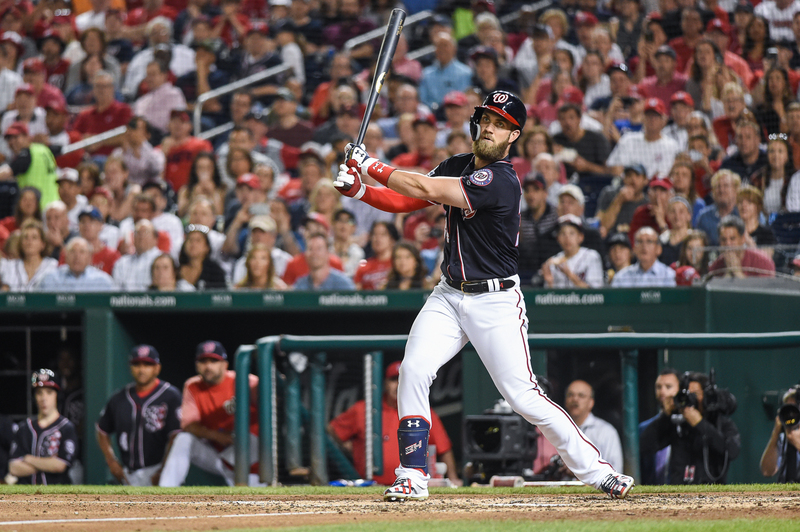 Washington Nationals outfielder Bryce Harper drives a hit down the third-base line. 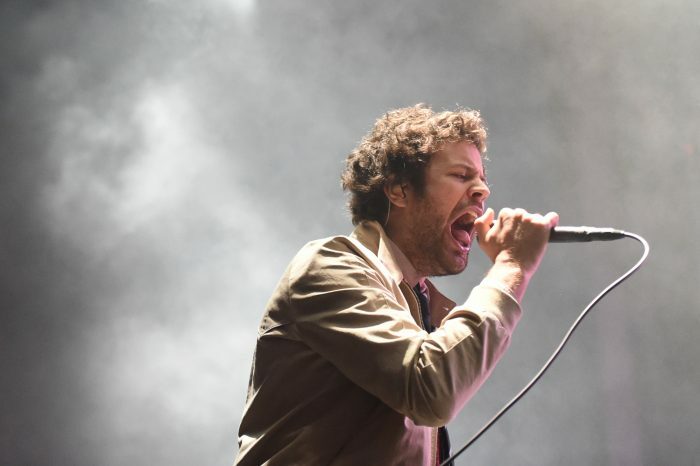 Michael Angelakos of Passion Pit performs during the 2016 All Things Go Fall Classic. 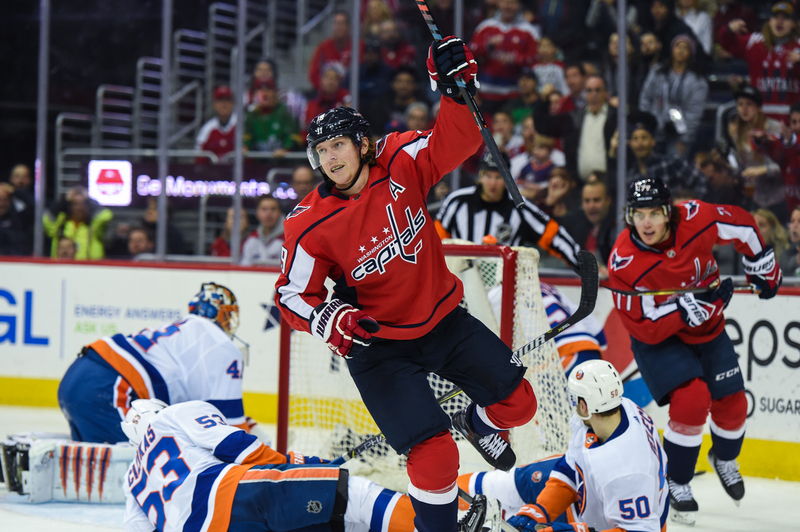 Washington Capitals center Nicklas Backstrom celebrates after scoring a goal against the New York Islanders. 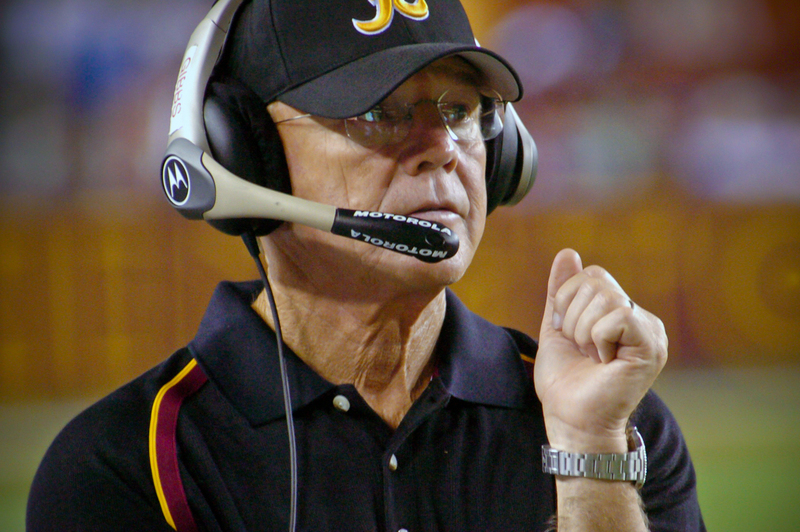 Hall of Fame coach Joe Gibbs returns to the sidelines for the first time since 1992. 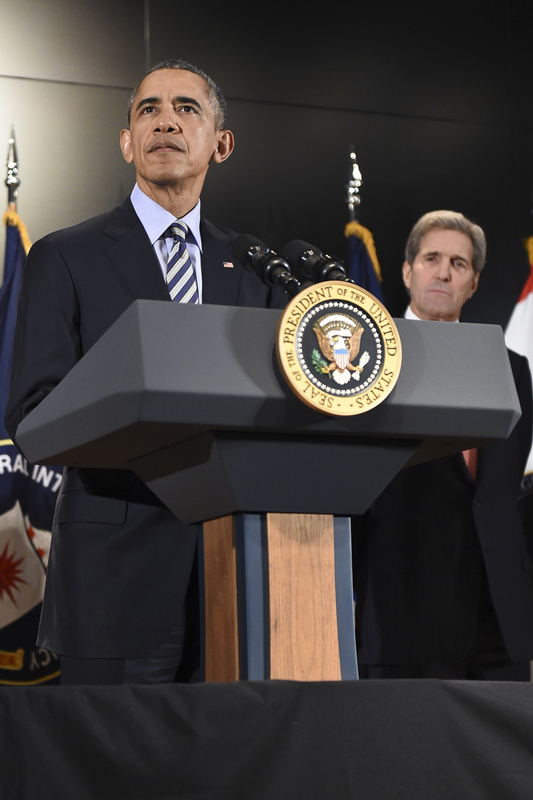 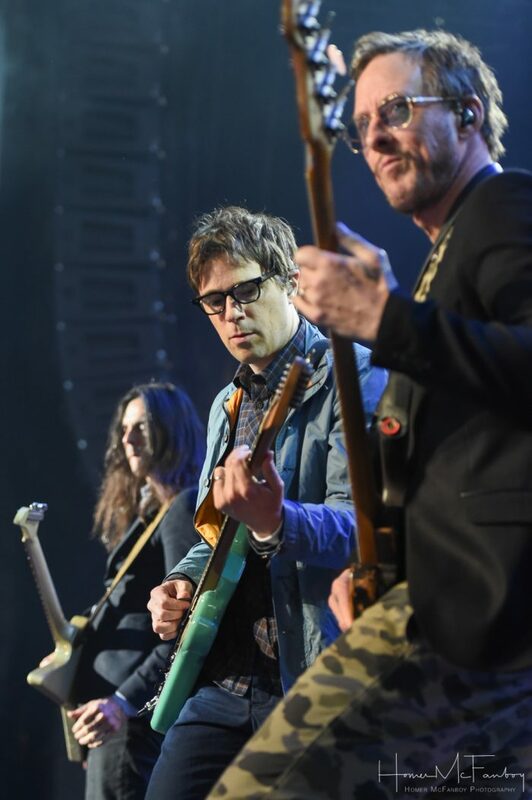 Former President Barack Obama speaks to personnel from the National Counterterrorism Center while visiting the Office of the Director of National Intelligence headquarters in McLean, Va.
Rivers Cuomo and Weezer perform during DC101’s Kerfuffle 2017 at Merriweather Post Pavilion. 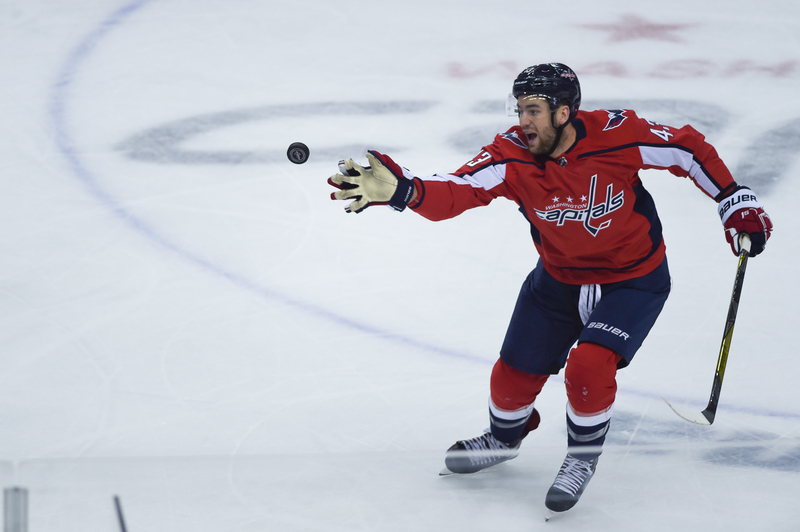 Capitals forward Tom Wilson has made a name for himself using his hands, but not quite like this. 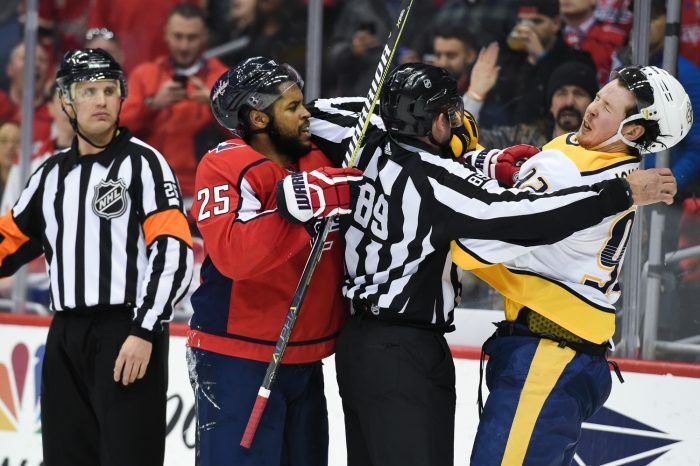 Capitals forward Devante Smith-Pelly delivers a not so subtle message to Predators forward Ryan Johansen. 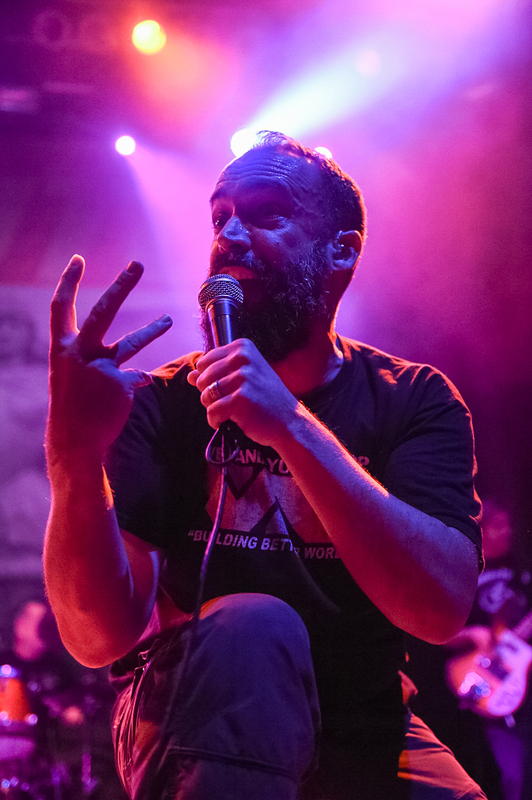 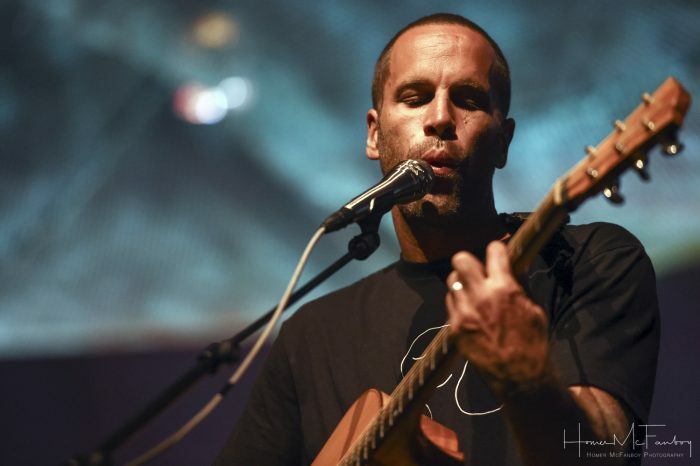 Jack Johnson performs before a sellout crowd at Merriweather Post Pavilion. 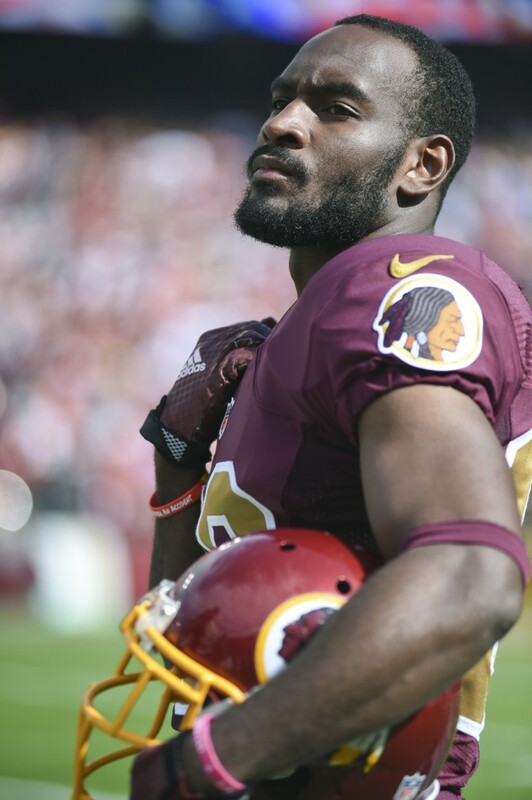 Redskins second-year cheerleader Jade waves to the burgundy and gold faithful during pregame festivities. 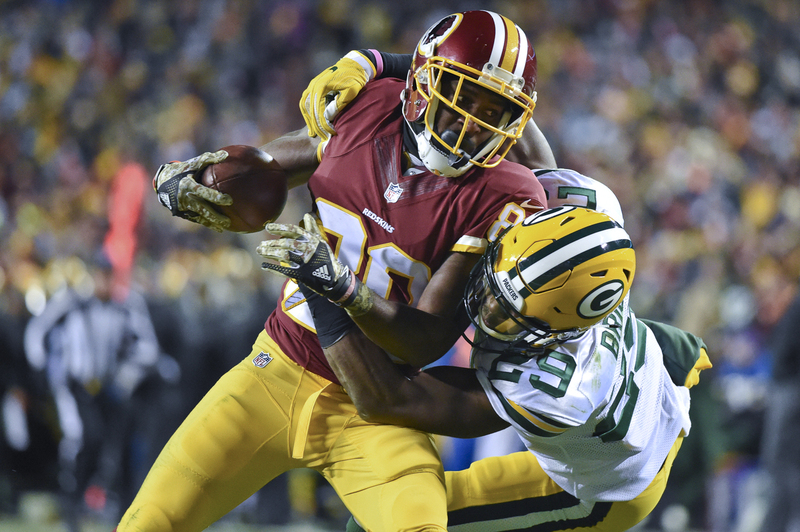 Redskins receiver Jamison Crowder might be small in size, but he’s had a large impact of Washington’s offense during his rookie season. 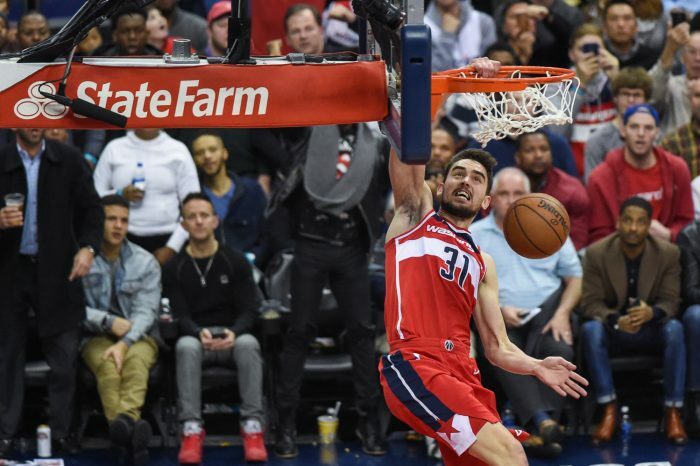 Wizards guard Tomas Satoransky shows a side of his game rarely seen during his time in Washington. 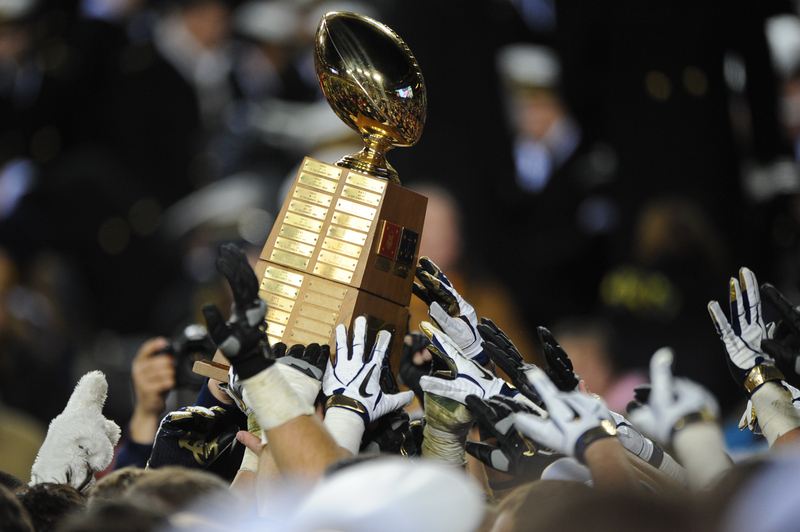 The Navy Midshipmen celebrate by hoisting up the Secretary’s Trophy after defeating rival Army, 27-21. 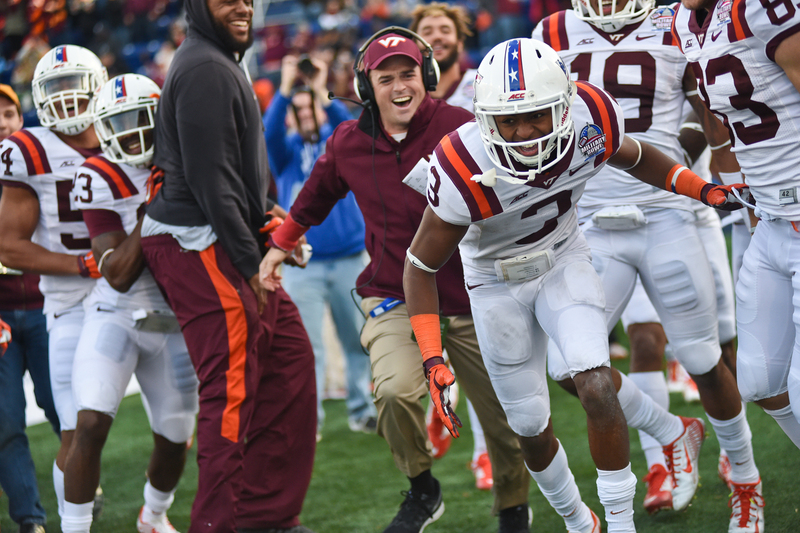 Virginia Tech cornerback Greg Stroman celebrates with coaches and teammates after scoring a touchdown on a 12-yard fumble recovery in the Military Bowl. 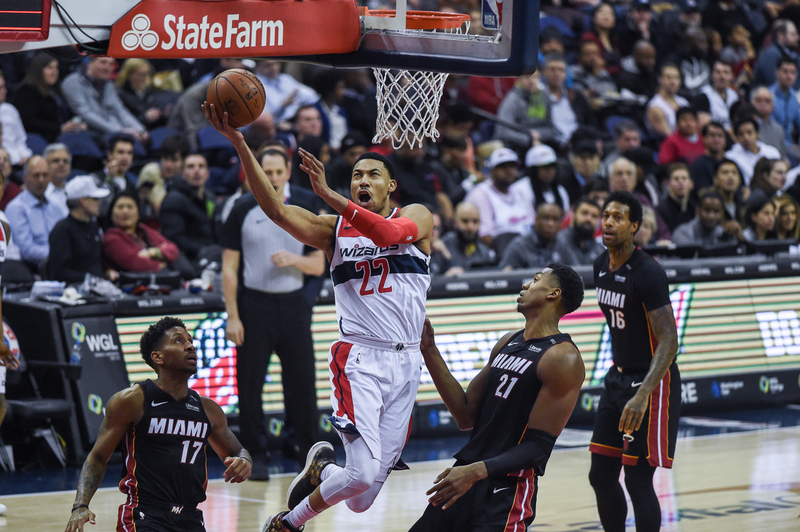 Wizards forward Otto Porter Jr. takes the ball to the rim against Miami.